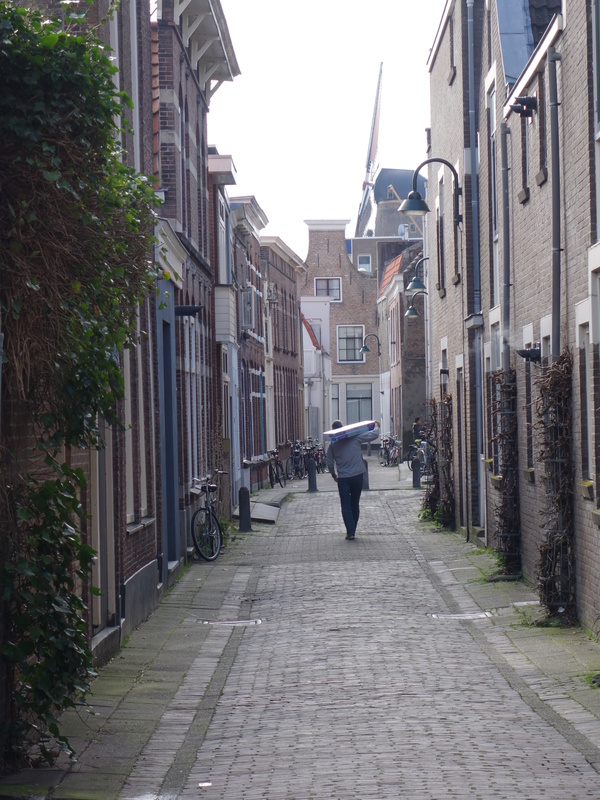 Gouda has a lot of nice alleys. At the end of this street you see the windmill ‘De Roode Leeuw’. Build in 1726 and since 1985 working producing flour again. Ze malen nog steeds meel en ik bal er broodjes van!